The manufacturer takes the best of v2 and takes the user experience to the next level. The thicker fibres of the Prime convince with an improved absorbency. Wick 'N' Vape promises 33% faster absorption over its predecessor. Likewise, work continued on the user-friendliness. The Prime is very easy to divide, portion and rightly model. 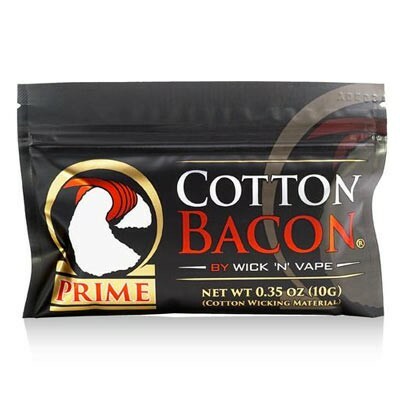 The cotton used contains no pesticides, chemicals, natural oils or other additives.